Belgium’s young gun ready to overtake the ‘Usain Bolt of driving’. Young Belgian Edouard Simonet is unequivocal as to the status of the man who has helped make him one of the most exciting young talents in the sport. “Boyd Exell is the Usain Bolt of driving. He makes you want to run faster to catch him,” Simonet said of the world number one and four-time world champion who has been his coach and mentor for the past seven years. Aged just 20 years old, Simonet made the decision that if you want to be the best, you need to learn from the best. “I went to Boyd’s place in the UK in 2010 to work for him as a groom,” Simonet explained. “It was work, work, work, I had to work so hard every day, but at the end it paid off. Simonet moved back to Belgium in 2012 but by 2014 Exell had followed him, the Australian relocating to the Netherlands-Belgium border, just 15 minutes’ drive from his pupil. “He was missing me a little bit,” Simonet joked. Matters moved quickly, so quickly in fact that in July of this year, the pupil pushed the professor all the way, Simonet finishing slightly less than 13 points behind Exell at the FEI World Cup event in Aachen, Germany. “I wouldn’t say I nearly beat him but every competition we are getting closer and all the hard work of the last five years is paying off,” Simonet said. “He is a friend, he taught me a lot and I am still learning things from him every day,” he added. 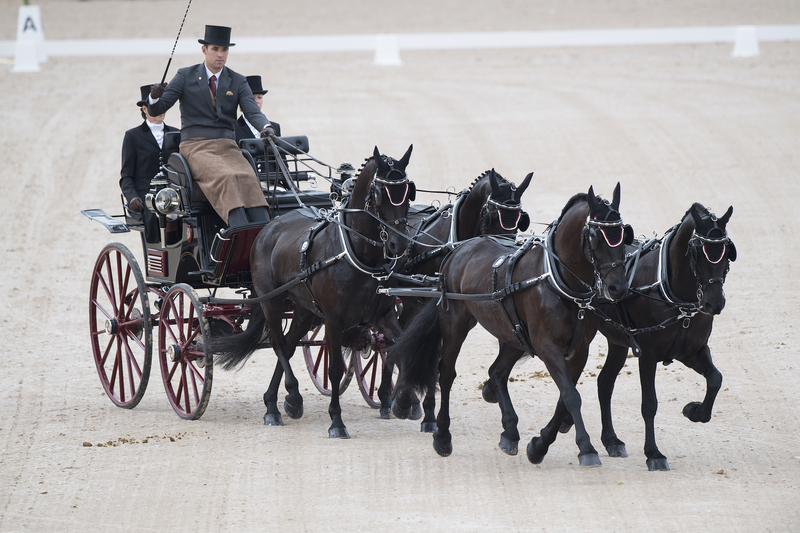 His friend is in Gothenburg for the Longines FEI European Championships but with a different hat on, he is helping the German team, and in particular the driver Georg von Stein. When asked if Simonet might be a bit annoyed at the fact he is helping his rivals this week, Exell had a swift and smart answer. After seeing Simonet record his best dressage score in two years, Exell acknowledges that the next few days are “a big opportunity” for the young Belgian. But, despite Simonet’s focus clearly being on the European Championships in front of him, he cannot help but continue to reflect on his ultimate ambition. “I think he will be happy when I beat him,” Simonet said.